What is the best solution for one’s drilling demands? For most people, it’s purchasing a benchtop drill press – it provides enough power and accuracy to assist you with your daily drilling tasks. But which model has the best power/price ratio? Is Skil 3320-01 a good contender? The affordable price did not have a negative effect on the construction quality, maneuverability, and power of this drill. It is, in fact, quite an efficient model that comes equipped with a number of features that make the whole process of drilling a lot easier. But is it really worth the money or should you look for a better model? In the following paragraphs, we’ll attempt to answer this question by analyzing the unit’s design and power. Join us and let’s check out this model’s value for the money together! Basically, the Skil 3320-01 has a purpose of helping the user achieve highly accurate and splinter-less holes in all kinds of materials. The unit has an adjustable depth stop that allows repetitive drilling and precise measurements, while the integrated Beam Laser system enables accurate aligning of the unit’s drilling end. But the thing that really sets this model apart is its 5-gear speed system which makes the unit more than suitable for different types of materials. The bump-off switch also deserves to be mentioned, as it reinforces the model’s already established safety. All of this is powered by the 3.2 AMP motor that can achieve the maximum no-load speed of 3,050 RPM. At 52.2lbs, this model is of average weight when compared to other press drills in the same price category. Its red top and metallic components give it a professional look and emphasize its usability, while the dimensions of 21.8″ x 15.2″ x 9.8″ remove the trouble of fitting the model into even the smallest workshops. Just like we expected, the unit’s slotted work surface is tiltable 45° to the right and left, allowing the user to create angled holes with ease. The unit requires partial assembly – the whole process is very easy and shouldn’t take too much time. The 3.2 AMP (1/3 HP) motor of this press drill makes it suitable for wood rather than metal. When fitted with an appropriate bit, the model can also be used for drilling through thin metal sheets. We advise avoiding heavy-duty jobs – the Skil 3320-01 was not designed with those in mind. The motor can achieve the maximum speed of 3,050 RPM, with five preset rates that you can choose from and thus easily adapt the speed to the task at hand. At the highest speed setting (3,050 RPM), the unit leaves polished, splinter-less drill holes. As we said, one of the best things about this drill is that it comes with a bump-off switch. It is located on the front of the unit and has a safety key with which you can prevent other people (particularly children) from turning the machine on when it’s not in use. This feature shows that the manufacturer takes safety very seriously, and that deserves special praise. Other features worth mentioning are the Beam Laser system (for better accuracy) and the adjustable depth stop (for a consistent drilling depth). As we said, the affordability of this model truly didn’t have a negative effect on its durability or efficiency. The Skil 3320-01 is, in our opinion, one of the best press drills in its price category. First of all, it has a compact size that makes it highly portable and maneuverable, which will be very important to those who plan to transport the unit from one job site to another. The model’s tilting table allows drilling angled holes, while its numerous features, such as the laser system or the adjustable depth stop, make the whole process very fast and easy. We were also very pleased with the drill’s variable speed settings, which we consider to be its main selling point, as well as with its bump-off switch that adds to the overall safety. Unfortunately, adjusting the speed is a bit more complicated with this unit. Since there’s no automatic speed changing button, one has to open the cover and then change the belt tensioning system. This is done quickly once you get the hang of it, but it’s still a lot slower than a simple press of a button. Furthermore, we didn’t like that the drill’s laser system requires AA batteries. It is not powered by AC power like the rest of the machine and will require you to purchase batteries every now and then to keep it running. Those that were looking for an affordable but efficient press drill are happy to have chosen Skil 3320-01. They’re saying that it’s a great power tool at an even greater price and that it successfully helps them with their drilling demands on a daily basis. The users are especially pleased with the unit’s variable speed settings, as well as with its sturdy construction and the tilting table. On the other hand, they have no love for the unit’s inability to tackle heavy-duty projects or for the fact that changing speeds requires manual intervention. Some are even calling it noisy, although we didn’t notice excessive noise during the testing. Those that don’t work with large materials but are instead casual woodworkers should definitely consider Skil 3320-01 for purchase. 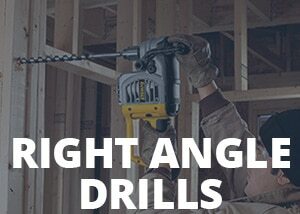 The model can handle a wide array of lighter drilling tasks, and is, therefore, a convenient choice for small garage owners, carpenters, shop owners, as well as for the masons and plumbers who deal with small-scale drilling jobs on a daily basis. For the price that it comes at, Skil 3320-01 is a steal. Highly recommended!